Read our helpful guide to second hand Mercedes Viano. AA Cars works closely with thousands of UK used car dealers to bring you one of the largest selections of Mercedes Viano cars on the market. You can also browse Mercedes dealers to find a second hand car close to you today. All used Mercedes Viano on the AA Cars website come with free 12 months breakdown cover. 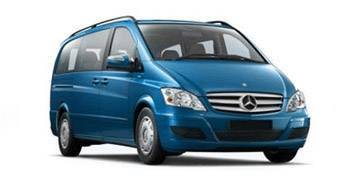 The Mercedes-Benz Viano combines the practicality of a people mover with the storage space of a van and the luxury of a saloon. With a host of options including front and rear-wheel-drive, varied lengths and wheelbases and petrol and diesel engines, there’s a Viano to suit any purpose. Among class-leading safety features, two head-on airbags and front side airbags are standard, along with Anti-Lock Braking System, Electronic Stability Control and Traction Control.